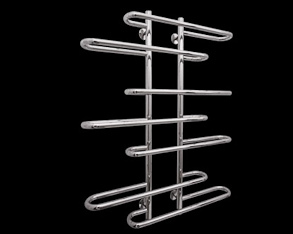 Below is a small selection of some of our favourite towel radiators, click on any of the thumbnails to browse through the selection or alternatively click here to view the entire selection. If you are interested in any please don't hesitate to call on 01663 749027 or visit our showroom - the largest of its kind in the UK. 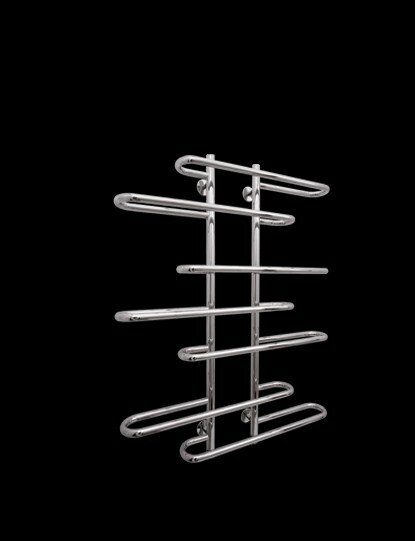 The MD Towel Rail uses half round bars front welded to give a very individual look. 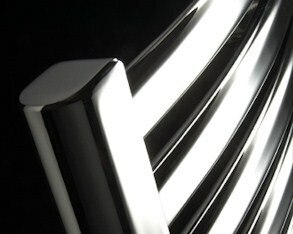 The same design is used in the MKD/BKD designer radiator single and double versions in our Designer Radiator section. 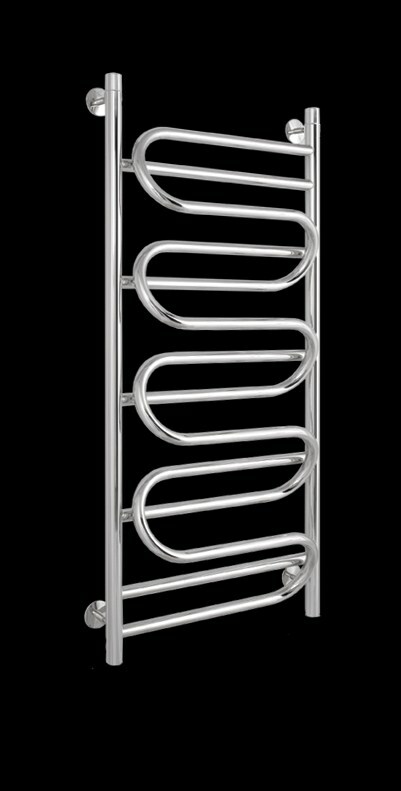 This is a sleek and stylish curved designer towel radiator by Vogue. Has a very modern design and comes in a number of sizes. 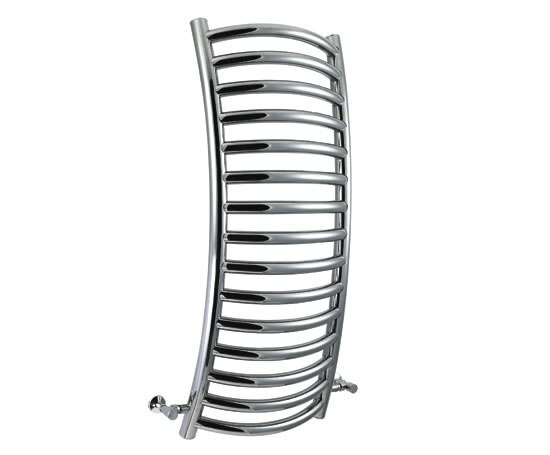 Ultra stylish, perfect for a modern bathroom setting. 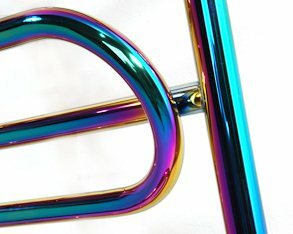 Available in 5 different finishes including chameleon (pictured). 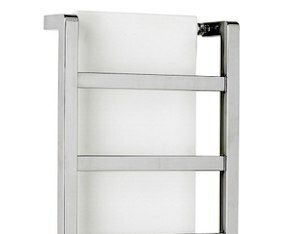 This is a simple sleek design by Vogue which would be equally fitting in a modern or traditional bathroom or kitchem. 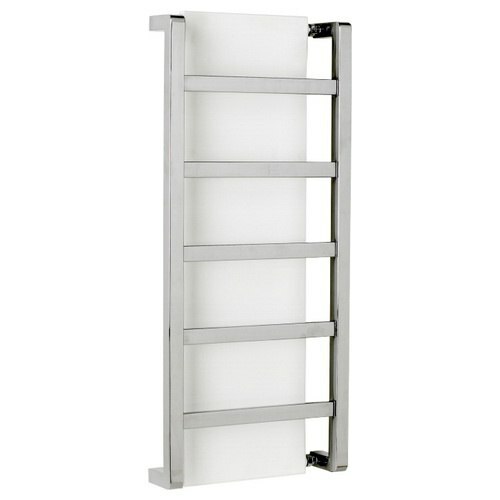 An extremely modern and slightly abstract looking designer towel radiator from Inspire2Heat, fantastically unique perfect for a modern bathroom. A more vintage design from Vogue here, this traditional design envokes a sense of classic style and sophistication. Better still, it keeps your towels warm too. 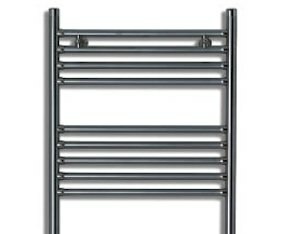 Designer towel radiators are great duel function radiators traditionally placed in the bathroom, however they are increasingly finding place in modern kitchens too. Fulfilling a role both as a small radiator (generally towel radiators have a lower BTU – the measure of heat output from a radiator – than conventional radiators) and keeping your towels warm. Perfect for when you step out of the shower. 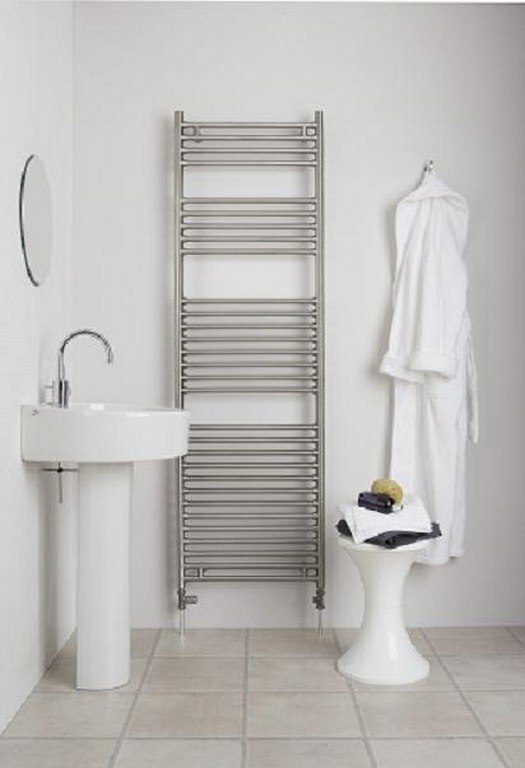 Towel radiators are capable of heating a small space such as a bathroom; it should be said however there are a range of radiators which combine a conventional radiator design with the railed design required for hanging towels on – such designer radiators carry the added bonus of having a high enough BTU to heat larger areas as well as keeping your towels warm. 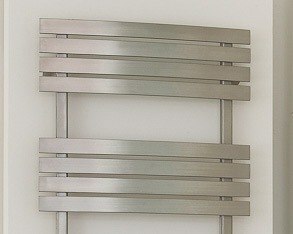 One such example would be the Vogue TM004 towel radiator. 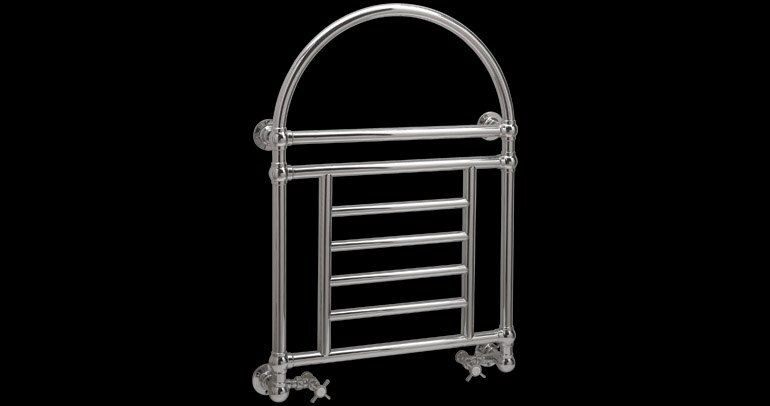 Please call us for details for any more information on the range, or see the Vogue Radiator page (Vogue carry a number of radiators which fit this description). 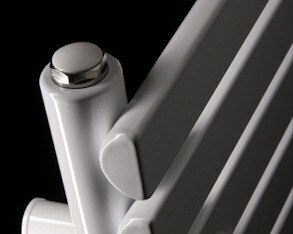 Most designer radiator manufacturers carry at least a handful of towel radiators in their range. 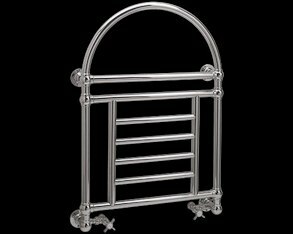 However there are a number of companies which specialise in them to an extent, manufacturing/distributing a large range of designer towel radiators. 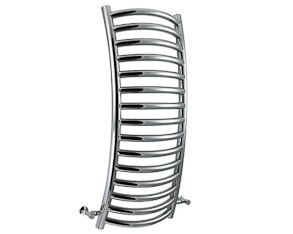 If you are looking for a towel radiator, good suppliers to look at include Ultraheat, Vogue and Inspire2Heat (click on any of those links to be taken to the page displaying their range). 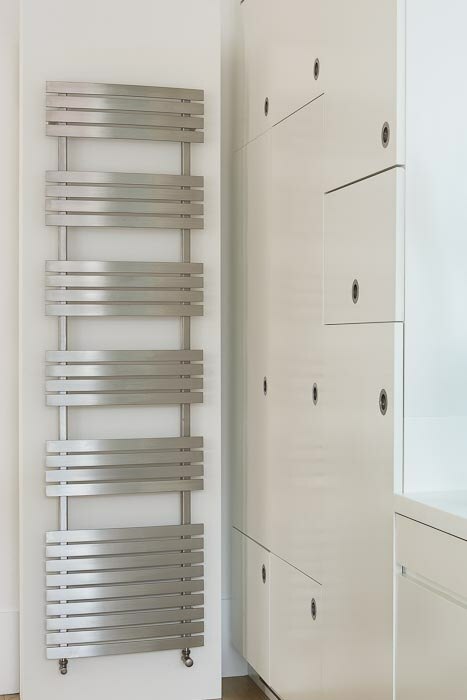 As with much of the site, any designer towel radiator you see on this page can be viewed in our designer radiator showroom, click here to find out how to find us.